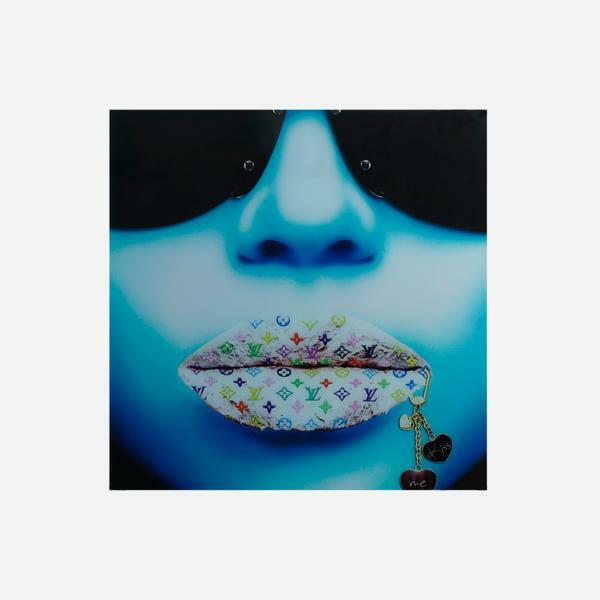 A large, square photo-manipulated artwork, mounted in acrylic and zinging with electric blue. 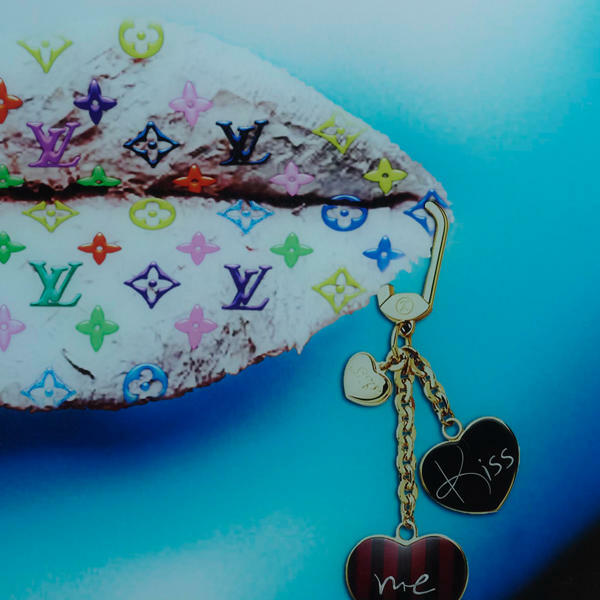 For bold colour and designer glamour, this pout branded with Louis Vuitton is the winning piece for your space. This is a limited edition artwork by Jean Raphael with only 75 pieces produced and a certificate of authenticity with its limited edition number.